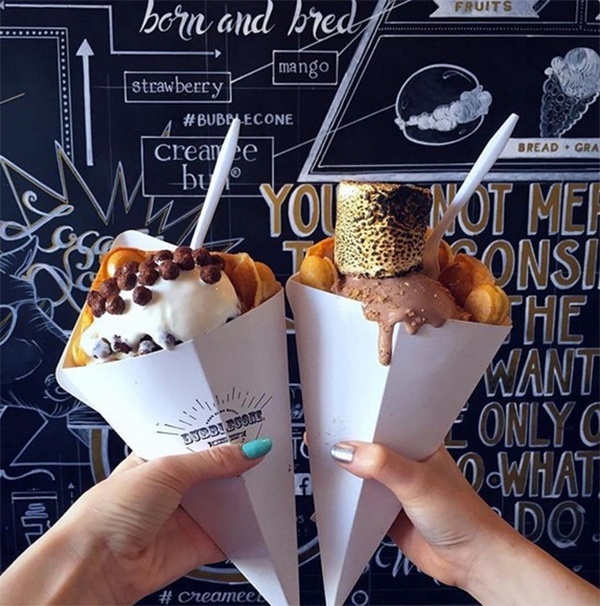 From the enticing scent of made-to-order Hong Kong-style bubble waffles to the loud, top 40 hits blaring overhead to the hip decor and drool-worthy ice cream flavors, it’s safe to say that Fairfield, CT hotspot, Milkcraft, is hot. 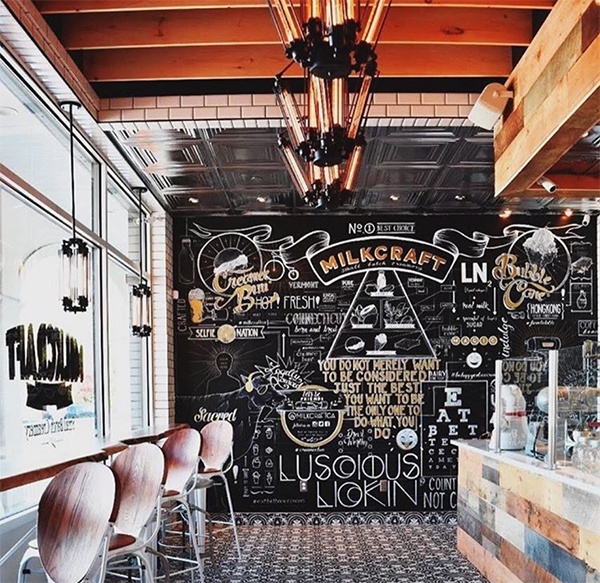 After making your way through the line with other eager patrons, upon setting foot inside the 766 SF space you’ll notice Milkcraft’s bold design elements. There's an oversized chalkboard emblazoned with hand-lettered motivation, a black-and-white tile floor that contrasts reclaimed wood paneling, plus shiny white subway tile walls and frosted milk bottle light fixtures. “Milkcraft has done a great job with the space, considering how small it is — it seems to be the direction retailers are headed,” said Jack deVilliers, Regency Centers’ Vice President of Investments. “They’re creating an atmosphere and experience that people want to come to because they can’t get it elsewhere." The small-batch local creamery’s secret lies in food-grade liquid nitrogen, which makes tiny ice crystals when freezing, allowing for ultra-creamy ice cream. The shop, located in Regency’s Brick Walk shopping center, is open daily from 11 am until 11 pm. While indoor seating is limited, there’s plenty of outside seating — complete with twinkling strands of overhead globe lights. Hybrid technology is nothing new, and we are constantly seeing new avenues for electric technology in the markets. Sustainable practices are a big part of corporate brands, not just for environmental purposes but for fiscal ones as well. With that in mind, one retailer is moving this existing technology in new directions and with a considerate business element built in. ElectroBike, one of the latest additions to Atlanta's Brighten Park, is an electric/manual powered bicycle company that describes itself as "elegance on wheels." The company's "E-bikes" allow the rider to easily switch from traditional pedal-power to electric, enabling the craft to move up to 20 miles per hour. The motors range from 250W to 500W throughout the seven different models, but they aren't just intended for casual use. 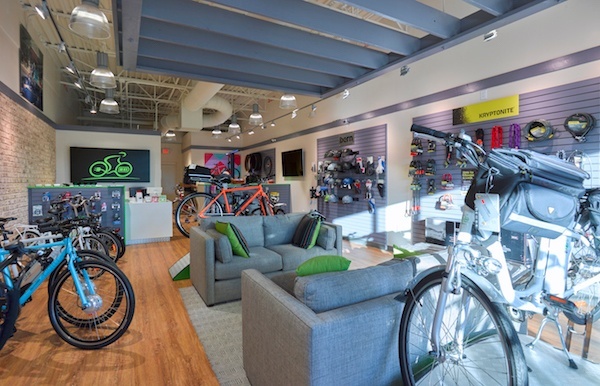 "In terms of technology and fitness it was something new and fresh — it was an innovative concept," said Leslie Mintz, Senior Leasing Agent. "The demographic in this area is very active — they seek to be outdoors with the parks and biking trails nearby. Along with the CDC, Emory Hospital and Emory University this area remains very health conscious. The co-tenancy with CorePower Yoga and barre3 seemed to be a perfect match, and I'm very excited to see their continued success at the center." As a special offer, ElectroBike has developed a corporate package program for entities who value sustainability and health. In addition to providing the bicycles, ElectroBike will customize racks, provide bags, and offer select employee reward programs. 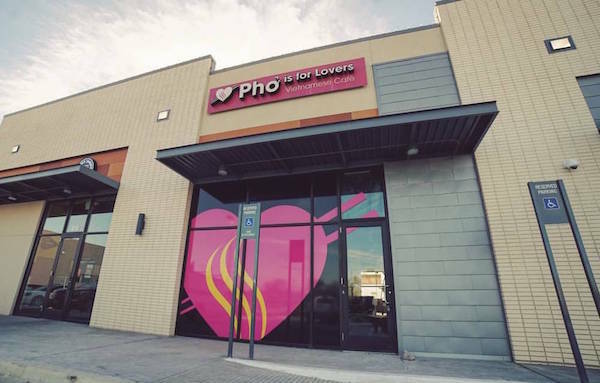 If you're craving authentic Vietnamese cuisine in a modern, fast-casual atmosphere, head to Pho is for Lovers. The Dallas-based concept expanded into Richardson, TX's CityLine Market in late 2016, celebrating with giveaways that included a complimentary bottle of cult-favorite Sriracha hot sauce. The 1,834 SF buildout features clean lines, exposed ceilings and natural wood dining tables. The Vietnamese-inspired décor and entranceway showcase the brand's signature ‘pink heart’ in a mural-wrap designed by Dallas-mural.com. “Pho’s design includes a wrap on the back window and door, creating interest,” said Liesl Elliott, Senior Regional Property Manager. “There isn’t the usual bland ‘back of house’ elevation facing the parking lot and the developing residential area on the east side of the building. Open for lunch and dinner seven days a week, the menu offerings include freshly prepared slow-cooked pho soups, bánh mì sandwiches, vermicelli noodles and rice plates and a short list of classic Vietnamese sides and beverages. The eatery has been featured in local publications including Richardson Living and the Dallas Culture-Map, and was recently listed in local news CW33’s top 5 Places to get your Pho on. The Village at La Floresta is a ground-up development located in North Orange County’s Brea, CA. 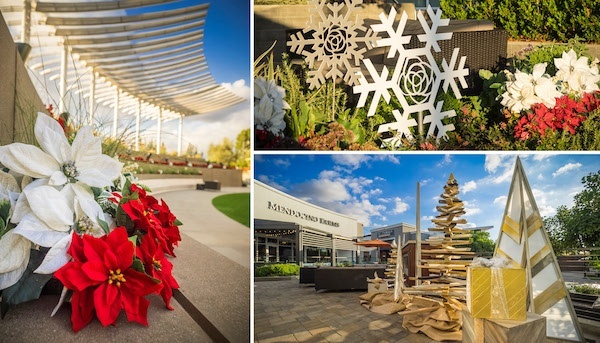 During the holidays, branded wooden snowflakes and abstract trees were displayed throughout the property, while festive poinsettias decorated the landscaping. The center is designed around a large, central multi-level terraced plaza and amphitheater called The Oasis. In December Regency held a month-long series of holiday events in this space which commemorated the center's first holiday season since opening in April 2016. Every weekend throughout December, carolers strolled the center singing traditional, contemporary and mixed-cultural holiday songs. On select dates, the amphitheater held free concerts featuring local choirs, music and talent groups. There was also a guest appearance from Santa. Click here to read full connecting story. Often we hear about projects that encompass a wide variety of changes to make a substantial difference for either CAPx or a redevelopment. Westlake Plaza is a famous example that required a myriad of projects for it to gain a new feel, and energy that was just under the surface of the dated center. However, what we don't often hear about are the subtle and slight changes that can make a sizable impact. Houston's Weslayan Plaza is a great example of making a significant change by addressing a single element. The center, encompassing nearly 355,000 SF of retail, was coated in a tint that Regency's Vice President of Placemaking Doug Pearl described as "swiss coffee tan." This color was identified as being a major contributor to the aged look and feel of a powerful and highly trafficked retail hub in an extremely affluent market. "Weslayan had an old, tired feel to it that we wanted to be monetarily conscientious about solving," explained Doug Pearl. "We needed to do something that would be fresh, different, and make this place feel new and special to the surrounding area." The decision was made to paint the entire set of structures to a cleaner and more uniform pigment to accurately reflect the status and feel of the surrounding area. Erik Thompkins, Director of Property Operations, said the change has been met with fantastic feedback from the center's retailers, plus community members who have reached out to express their approval.